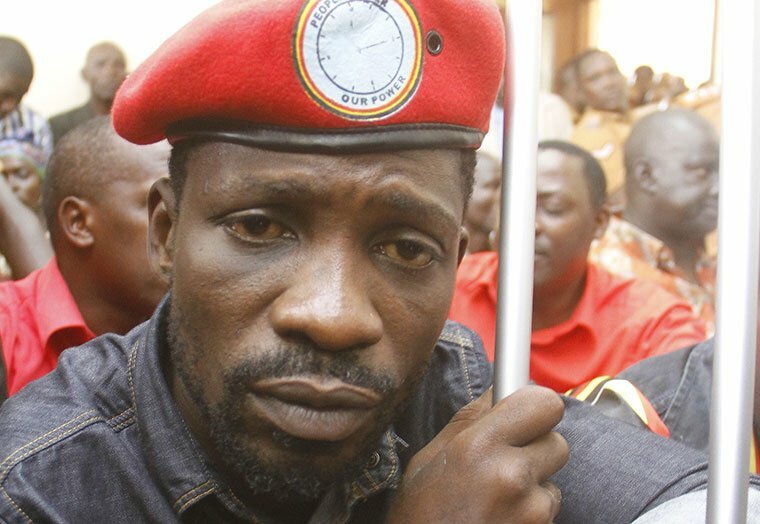 KAMPALA – Kyadondo East Member of Parliament Robert Kyagulanyi aka Bobi Wine could lose his building located in Kamwokya, a city suburb, after a company claimed that he illegally acquired the land on which the structure sits, PML Daily exclusively reports. Ms. Pearl Hope Investments Limited through his lawyers of Lubega, Matovu and Company advocates has written to Bobi Wine, ordering him to demolish his Ssemakokiro Plaza within seven days, alleging that he bought the land without the consent of the original land owner. In a letter dated March 11, Pearl Hope Investments Ltd also wants 400 residents occupying Block 213 Plots 20-78 evicted, saying they acquired the 24-acre piece of land wrongfully. The land covers Mulimira, Kisenyi and Old Kiira Road zones. “You went ahead and demolished the old premises thereon. You erected Ssemakokiro Plaza on the land wherein you have your recording studios and other activities. As you may appreciate, you are purely a trespasser on our client’s land, our client on purely humanitarian grounds gives you a notice of 7 days within which you should remove your developments as they constitute a nuisance therein,” the letter reads in part. According to the lawyer, Bobi Wine bought the land from a one Gladys Nanyonga without the consent of the land lord. A copy of the land title of the area seen by this website shows that Musa Musisi as the first registered owner of the land in 1957. He later transferred it to Joseph Kagumba in 1996 before Kasoma Samuel acquired it in 2003 and then Pearl Hope Investments in 2006. Bobi Wine was on Thursday not available for a comment but his brother Fred Nyanzi Ssentamu expressed shock at the revelations and instead said the claimants are political agents. “He bought it from a former Kibanja holder and he duly paid the seller. Anyway, those claimants are no surprise given the position Bobi Wine is in,” Nyanzi said. Last month, this website reported that Bobi Wine owed UGX55 million in tax arrears to the Uganda Revenue Authority (URA) by December 2018. According to a URA demand notice dated, Bobi Wine Wine had not been paying the taxes since 2008. The taxes accrue from Magere House, One Love Beach at Busabaala, Ssemakokiro Building at Kamwokya and Two speed boats. The URA notice demanded that Bobi Wine pays the taxes or be jailed. It is not clear whether Bobi Wine paid the taxes. We could not reach him by press time. URA later denied issuing the claims. It is not clear whether the taxes were real or part of government machinations to stifle dissenting voices. The presence on the political scene of the 36-year-old musician-turned-parliamentarian is seen as a growing threat by the ruling elite. These fears and the violent reactions they are generating might turn into a self-fulfilling prophecy.